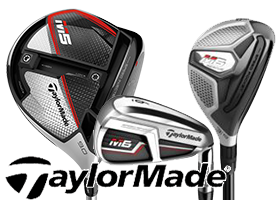 TaylorMade - We will be bringing in the latest that TaylorMade has to offer with their new lineup of M5 and M6 Drivers, Fairway woods, hybrids, irons, wedges, putters, and golf bags. Don’t forget to inquire about being custom fit for your new golf clubs today! Ping - We will be offering the revolutionary PING G410 Driver! If you played with the G400 series in 2018 just wait until you get your hands on the G410 Driver. In addition to the equipment we will be carry a variety of PING golf bags for both carrying and for your power cart. Travis Mathew - New to Gallagher’s Canyon for the 2019 season, we are excited to offer their innovative fashion pieces from polos to headwear! Adidas - Each year Adidas launches new fashion pieces into their brand, 2019 being no exception. We will be carrying the latest in both men’s and women’s apparel and shoes. Wear the brand that most professional golfers love! FJ - FootJoy is known for its reputation of class and quality We will be carrying apparel, shoes, and gloves this season and encourage you to try on the merchandise to feel the quality. IBKUL - IBKUL was new to Gallagher’s Canyon in the fall of 2018, and the overwhelming response towards this line has it returning to our golf shop for 2019. If you have not seen the IBKUL line it is one of the fastest growing brands in golf, due to the apparel being multi-functional. Along with these brands in our golf shop for 2019 will be Greg Norman, Tail, Nivo and many more. We look forward to helping you with playing, looking, and feeling the best you can on our fairways this season! Tee times: (250) 861-4240 or book a tee time online!